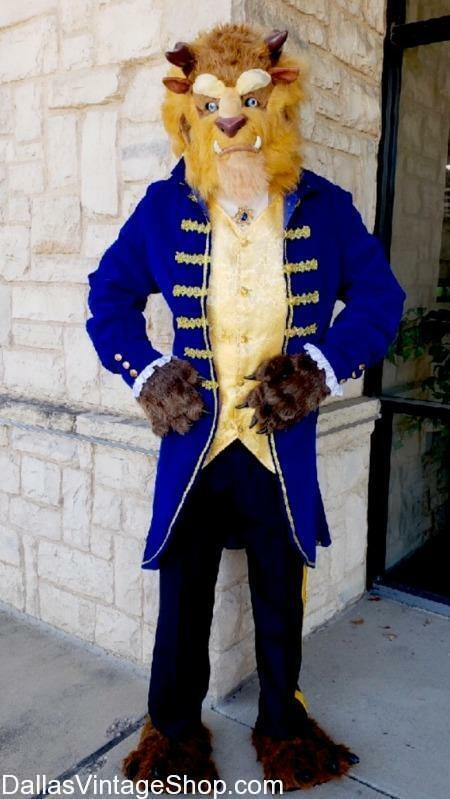 When it comes to Fairy Tale Character Costumes just take a look at this ‘Beast’ Mascot Costume From Beauty & The Beast. What is your favorite Fairy Tale Character? We have Costumes for that. Here is a few other Fairy Tale Costume Ideas to inspire you that we can offer Costumes & Accessories for: Disney Fairy Tale Characters, Fairy Tale Medieval Character Costumes, Mother Goose Fairy Tale Costumes, Brothers Grimm Fairy Tale Costumes, Hans Christian Anderson Fairy Tale Character Costumes, Ren Fest Fairy Tale Costumes, Mystical Fairy Tale Characters Attire, Goth & Dark Fairy Tale Character Costumes and we could just keep going. There no limit to what you can accomplish in Fairy Tale Character Costumes here. Get complete outfits or just the pieces you need. This entry is filed under Fairy Tale Characters. You can follow any responses to this entry through the RSS 2.0 feed. Both comments and pings are currently closed.